Become the beefcake that you always dreamed of by simply putting on this muscle shirt. 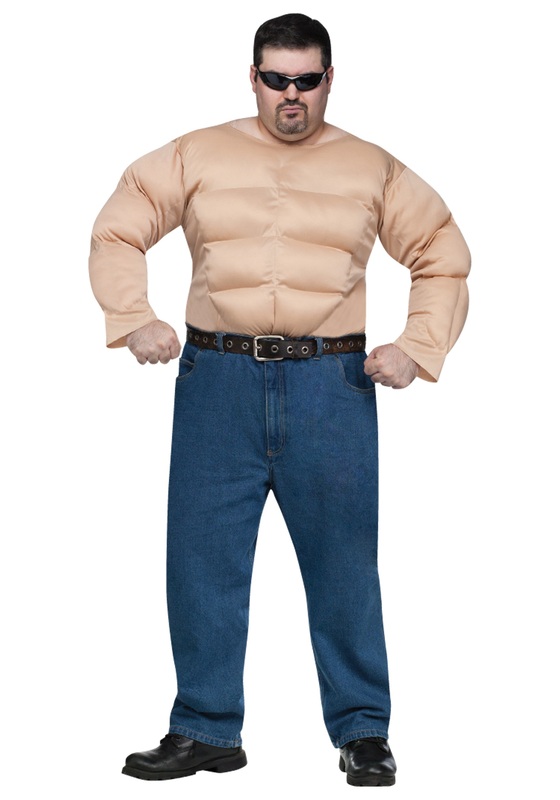 This 100% polyester white shirt is filled with stuffing and has rippling pectoral, abdominal, and bicep muscles. The shirt closes in the back with velcro tabs. Use this shirt under costumes or build your costume around it!